The motorsports world is a vicious place. It is a cut throat business that has only become worse since the economic recession. The fight for top level seats and pay drives is reserved for a handful of seats per series. Drivers are increasingly reliant on board room talent versus driving talent. Formula 1 is a series that has benefited from a great crop of young talent recently. 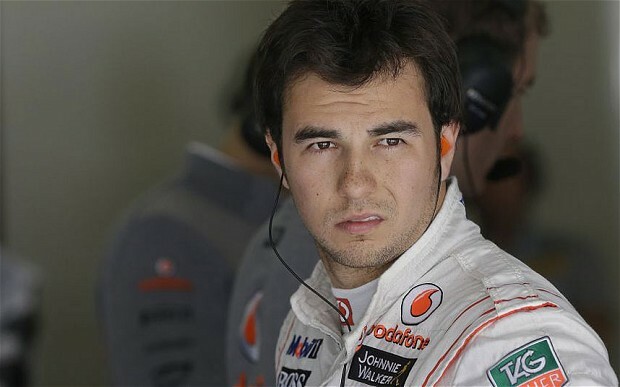 Drivers like Sergio Perez, Paul di Resta are just a couple of names that standout as brilliant talents that may not have a home in 2014. The bigger question being asked by media types like Autosport is whether or not these talents would be willing to compete in the IndyCar series if a suitable F1 home is not found. While looking through Autosport.com this morning, a story surfaced where Sergio Perez was asked if he would consider a move to IndyCar in 2014 since the top flight Target Chip Ganassi team had a vacant seat. Perez was open to the idea but thought Formula 1 was still the best area to showcase his talents. There are a couple of seats in F1 that are still technically open with Lotus, Sauber, and Force India. I personally would be a little skeptical on the Force India seat given the financial issues that may or may not be plaguing the team. There is no question though that a seat in IndyCar would be fantastic for a driver that has a large fan base and opens up Mexico to IndyCar again. I have always maintained that an expansion for IndyCar should start in the U.S. and bridge out from there. Bring a name like Perez and maybe some Mexican sponsorship and we could open up the market a little right? Also bring in the talent that Perez has, Sergio was no slouch while at Sauber. A move to McLaren was a little quick, but Perez proved a few times that he could take a sorry car and run towards the front. His “elbows up” driving style would be fun to watch in IndyCar and increase the talent level the series is amassing even more. 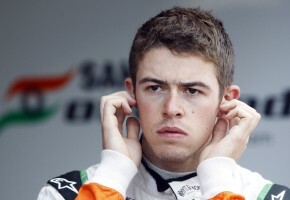 Enter Paul di Resta into the conversation. It appears as though his time with Force India is coming to a close and there are no real seats for Paul in F1 that will see him competitive. A move to IndyCar would make sense given his family ties with outgoing legend Dario Franchitti. He knows the environment and would prove a smooth transition from Dario. Could cousin Franchitti pave the way? Why not? Look at this short list: Alex Tagliani, Ryan Briscoe, maybe Tony Kanaan potentially moves over from the Ganassi operation. None of these names minus Kanaan inspire much confidence. No disrespect to Alex or Ryan, but I am probably going to go a different direction and why not bring in a talent like di Resta who is a proven champion in DTM and a great F1 talent that is just out of options. IndyCar finds itself in a unique situation. It is a problem that more series should want to be honest. A lot of great talent looking into IndyCar teamed with some awesome talent rising through the Mazda Road to Indy ladder system. Drivers like Perez, di Resta, maybe Gutierrez, and a few others may find they are jobless and looking for something to drive. IndyCar offers a pleasant alternative, but the teams must find a way to lure this talent. Especially given the fact that the Tudor United Sports Car Championship (USC) is gaining a lot of momentum and becoming a very appealing destination for drivers and teams alike seeking refuge.